How many times have you written something on WhatsApp group or private message only to realize later that you have either shared it with the wrong person or made an embarrassing typo? Trust me, we have all been there, but there is good news! For those who have updated their WhatsApp with their most recent update, you can now delete messages. You heard me right, you can now delete WhatsApp messages! 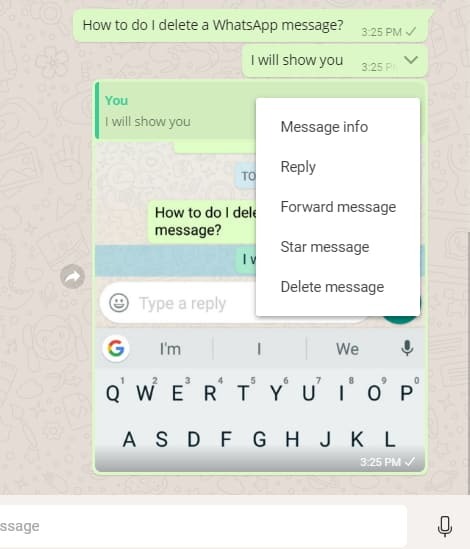 The bad side is that instead of WhatsApp completely erasing your message, it will rather show that you deleted a message, as seen in the image below. Press the message you want to delete for a few seconds until you the menu bar pops up. Select the trash can icon from the menu bar. Select “Delete For Everyone” if you want to remove the message from everyone. 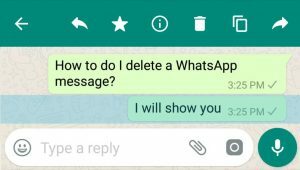 We hope that this quick guide for deleting WhatsApp messages proves useful for you. Let us know what you think by leaving us a comment below or by connecting with us on Facebook!